Robert J. (Bob) Rose of Green Bay died peacefully December 2, 2018 surrounded by his wife, all his children and numerous grandchildren. Having lived a full and inspiring life for 86 years, he is now in the hands of his beloved Lord. Born in 1932 in rural Minnesota to a school teacher and homemaker, he attended Mankato State University and worked in Minneapolis before relocating his family to Green Bay, where he owned a commercial refrigeration business for many years. Along the way, 7 children arrived to create a loving and bustling family environment. Several years after his first marriage ended in divorce, he was betrothed to Marion Freiberg who was more than his love interest, as she became his business partner and global travel companion. Bob and Marion cherished their vacation property near Lakewood, Wisconsin and held many family events on the premises. 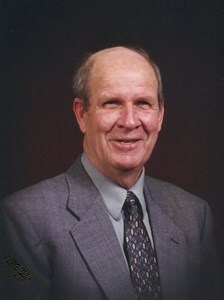 Bob was an avid outdoorsman and enjoyed hunting and fishing. To the envy of family and friends, together they had many exotic travel adventures to all 5 continents and filled dozens of photo albums. Bob was an active member and contributor to St. Patrick’s church in Green Bay, where funeral services will be held December 6. Bob was also an active volunteer in the Green Bay community. Bob is survived by his wife of 32 years, Marion; his children: Randy (Kathy) Rose, Julie (Todd) Bartels, Kent (Marie) Rose, Bruce (Beth) Rose, Stewart (Mary Beth) Rose, Missy (Tom) Rose and Phil (Lynne) Rose; 19 grandchildren; 10 great-grandchildren and siblings, Richard Rose and Joy Lockner. He was preceded in death by a sister, June Rose. Visitation will be held at St. Patrick Parish (211 N. Maple Ave., Green Bay), Thursday, December 6, 2018 from 11 AM to 1 PM. A memorial mass will be celebrated at 1 PM. In lieu of flowers, memorials directed to Paul's Pantry, Salvation Army, Golden House or St. John's Homeless Shelter in Bob's name are appreciated. Add your memories to the guest book of Robert Rose. Bob picked the best camping spots in the UP for our families to camp together. Always near a golf course where he would hunt endlessly for lost golf balls. He scope out the areas and find interesting places to entertain our families. He was a friend who would come to help in stressful times. I know. I called on him to pull me out of a jam. More than once. Although you, his family, have a wealth of good memories, there is always sadness and feelings of loss. And for this, I wish to extend my sympathy to you all. To all of the Robert Rose Family (especially to Missy Rose, our neighbor, and friend) we send our sincere condolences and prayers. The loss of a husband, father, and friend is always very difficult for family members left without their father to lean on for love, support, and maybe a helping hand. While we never knew Robert on a personal basis, we know from our friendship with Missy that he must have been a good guy and a great father. We pray that the good Lord will make sure "the perpetual light of heaven shines upon him". Lori and I were saddened to hear about the passing of Bob. We always enjoyed seeing him in Lakewood on his way to his next fishing expedition ! Our thoughts and prayers are with the family at this time. May God bless your family at this time, of sadness losing your father. Remembering your father,will make you all better person in life,keep the good thoughts of your father burning inside your heart . I enjoyed him talking to us as young men. Great wisdom he had about life, great advice when ever you needed it. What a great dad he was to all his children. He always made everyone feel at home and like part of the family. Loved spending time with he and Marion and all the others at the Lakewood property. He was a great example of who we all should try to be! I will remember Mr. Rose as a kind and gentle man who always had kind words of wisdom to share. My thoughts and prayers are with you and your family. So sorry to read about the loss of the family patriarch. When I saw the photo of Mr Rose in the paper I immediately recognized him. I have fond memories of my visits to the family home in Allouez, especially the attic above the garage. A special hello to Bruce, Stuart and Phil. Rest In Peace. Missing you and forever grateful. Best Dad and Grandpa of all time. God bless you.